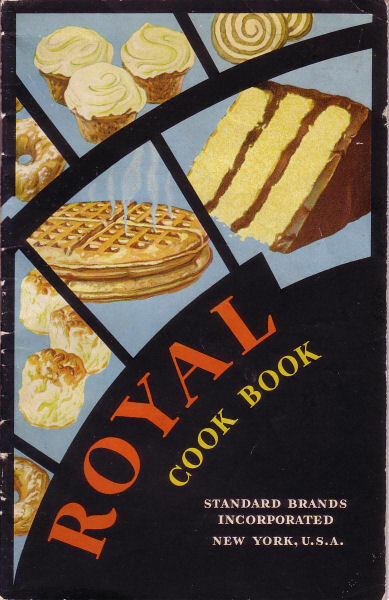 The flea market at the Mansfield Drive-In doesn’t always yield vintage cookery pamphlets, but this time I got lucky. 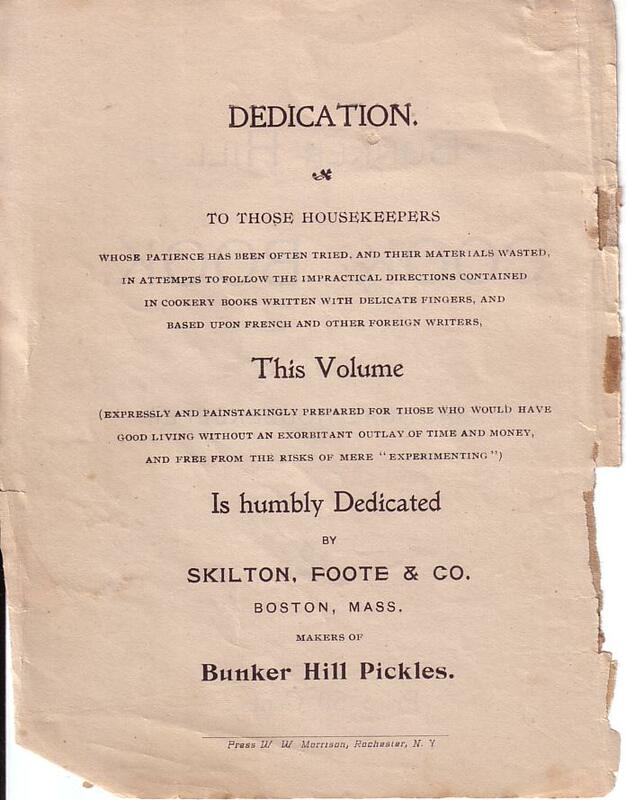 First up, a small booklet from Skilton Foote & Co. by “A Practical Housekeeper.” It cost fifty cents when it was printed, and I paid a dollar for it … but a dollar is worth a lot less now than it was then. 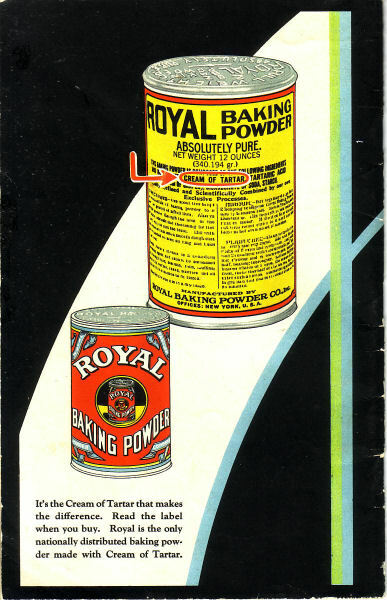 According to this collectibles blog, the company went out of business in 1907. It has no date on it at all, but “1907 or before” actually makes it the oldest item in my collection so far. According to the contents, the company made mayonnaise, pickles (including pickled onions and something called “Chow-Chow”), and “Mrs. Holbrook’s Golden German Salad” (I think that means sauerkraut). 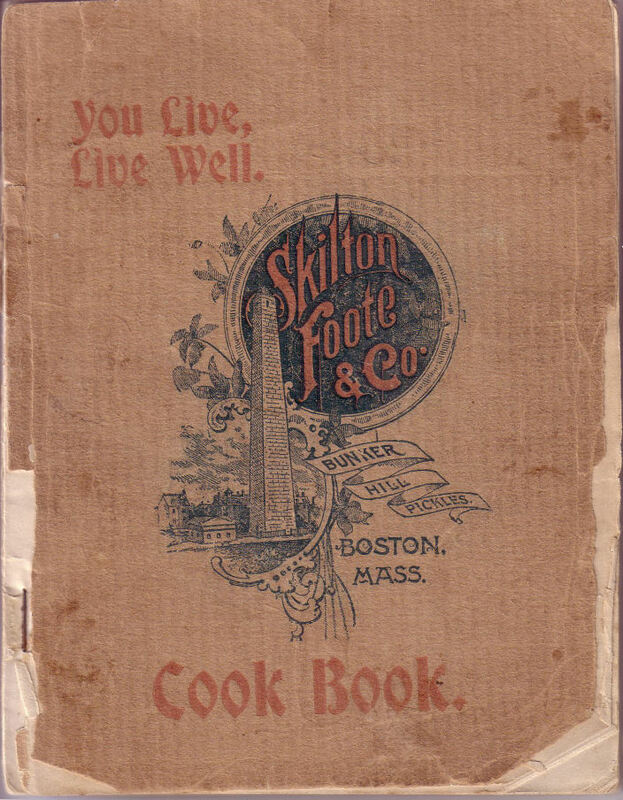 Most of the contents have to do with baking, of course, but there are short sections dedicated to other types of cooking (including meats and vegetables). A successful day, especially since we got back home before the rain started! Chow-Chow is another name for piccalili (relish). I was always suspicious of my Grandma B’s piccalili, and now I regret that I never gave it a chance. I don’t know if chow-chow is a regionalism or a specific type of relish. Thanks! I’m not sure how “chow-chow” could be a regionalism if it was used in both Boston and Arkansas, but I suppose it’s possible. A type of relish makes sense, though, given it’s a pickling company.